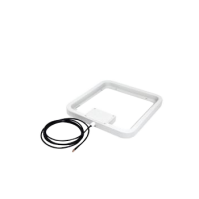 Medium Range RFID Readers | GAO RFID Inc.
GAO RFID offers a selection of mid range (10m- 30m / 32-98 ft) RFID readers. Using GEN 2 UHF 865-868/902-928 MHz frequencies, our mid range readers can read UHF tags from a long range quickly and accurately. Medium range readers are most effective when deployed in low cost asset tracking applications that require a longer read range. Popular applications include vehicle or personnel tracking, as well as tracing documents in offices and WIP during automatic production processes. 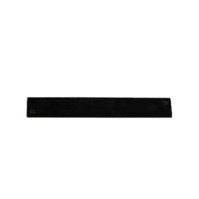 GAO’s Gen2 UHF 865-868/902-928 MHz medium range readers can quickly read RFID tags from a range between 32 ft. and 98 ft. (10 m and 30 m) with accuracy. All of these readers offer flexible options for data transfer through Bluetooth and some also offer USB, which ensures easy connection to devices such as PDAs, laptops or smartphones. They also incorporate WCDMA (HSUPA), EDGE, EVDO, GSM, GPRS and Zigbee communications, integrated A-GPS and WLAN connectivities. 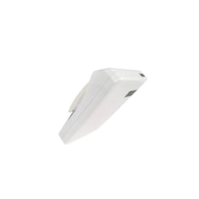 Additionally, they provide barcode 1D/2D scanning and GPS location and also have a batch mode, which allows them to work even when there is no connection available. With their range of frequency, they have global frequency coverage. All of them are handheld devices, because of this they are supplied with batteries to work without the need to be connected to a cable. The battery used in these readers is a rechargeable 3.7 volt Lithium Ion battery pack, that can be 2700, 2100 or 570 mAh and are removable. One of these readers also have a non detachable 3.7 V/40 mAh Li-ion charging battery as a back-up battery. When necessary, free SDK will be provided together with the reader. These modules are high performance RFID handheld readers, which are compliant with ISO 18000-6C and one of them is also compliant with ISO 18000-6B standards. They also have memory, allowing them to store information about the tags and to record the operation. The options available for the memory are 48KB (equivalent to 4096 EPC codes at 96 bit) , 6MB (equivalent to 4096 EPC codes at 96 bit) and up to 32GB with access to micro SD. All of these modules have built-in antennas. 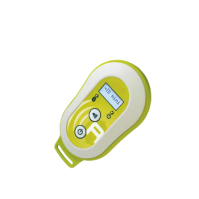 They also have LEDS, vibrating and sound alarms, informs about the read status, battery status or a new information. Moreover, they are light weight and small, being able to be carried and operated with one hand. Some of them have a 3.5 inch color VGA TFT touch screen display, key interface, and audio control. They are also IP 32 or IP 64 rated, with protection against dust, liquids and drops. The applications for these handheld medium range UHF RFID readers are vast. Some of the examples are access control, anti-counterfeiting, asset tracking, inventory management, livestock tracking, logistics, outdoor patrolling vehicles, personnel tracking, point of sales, service and maintenance, vehicle tracking and tracing documents. All of them can be used both indoors and outdoors. Please see our full selection of mid range readers below.